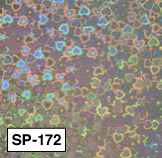 Foiling is the process of layering colored and/or patterned foils onto the book cover to create a pattern or design. 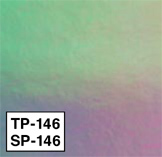 Our Foil Covers are available in a wide range of colors and tints. 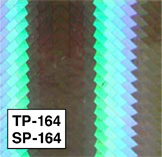 Gold and silver metallic foils, as well as solid colors such as blue, red and green, tend to be the most popular. 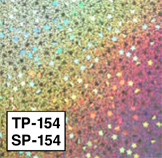 Other choices include glitter foils and holographic foils. 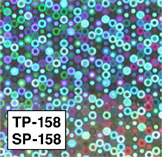 Tips for designing foil covers: Avoid very fine lines and small lettering. 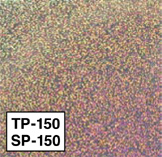 Such small surface area is insufficient for the foil to properly adhere, and may result in the lines "bleeding" into one another and obscuring the intended appearance. 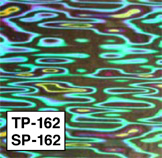 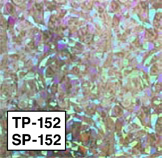 Holographic Foils come in transparent and opaque silver holographic patterns. 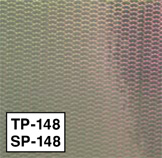 Foil images below are of opaque silver holographic pattern foil and are for reference only. 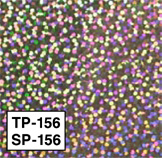 Colors in these images will vary significantly depending on lighting conditions. 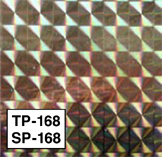 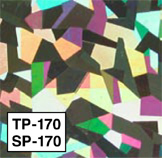 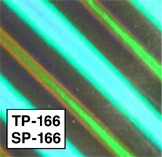 "TP" pre-fix code below stands for "Transparent Pattern Foil"
"SP" pre-fix code below stands for "Silver Pattern Foil"